Do you support the worldwide goal of UN Local Agenda 21? Please take a moment to answer our poll. Click the arrow for more options. Should national law be over-ruled by U.N. Agenda 21? Yes, and I'm from the U.S.No, and I'm from the U.S.Yes, and I'm from the U.K. or the E.U.No, and I'm from the U.K. or the E.U.Yes, and I'm from AsiaNo, and I'm from AsiaYes, and I'm from outside the U.S.No, and I'm from outside the U.S..I don't know, and I'm from the U.S.I don't know, and I'm from outside the U.S. Drastic changes to government are underway across the globe. By the year 2020 we will all be governed by a new system of law. 2020 by Niki Raapana with Nordica Friedrich. For visitors coming from outside the U.S.
1. How U.N. 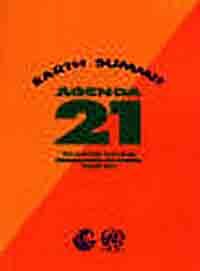 Agenda 21 is directly tied to the U.S.
12. Here's some holistic organizations that work for U.N. Local Agenda 21 objectives, but pretend they work for the "planet"
The communitarian plan for reinventing a global government was adopted by the UN in 1992 at the Earth Summit. There were no public votes cast for or against it in any of the affected "free" nations. Average citizens were not consulted. In most free and democratic countries, the nation's taxpayers (who pay for it) were never even told about it. The major media outlets were mostly silent while for thirteen years, the UN's LA-21 laws have been imposed on all 166 member nations. There were no big discussions of its purpose or ultimate consequences. It just slid into law. It's really pretty amazing. No major editorials, no explanation of how it would be imposed, it was barely announced by the national governments who endorsed it. Only a few enlightened locals understand LA-21 requires a total reorganization of government systems. It eliminates individual rights in the free countries. National systems of political economy are subserviant to LA-21 laws. The plans are generally thought of as a "good thing." So few people bother to read their new vision for community, even if they know there's a plan. Why should they? It's presented by experts, and none of us common folks are experts, are we? Besides, really nice people promote it as a just, scientific, holistic, grass-roots, non-threatening way of cleaning up the world and making it a friendlier place. The barriers are outdated national governments and the millions of selfish people who cling to the idea of local rule. The entire world must be merged into a communitarian system. Because so many resist, it's best if only a few know about it until the integration process is complete. "One must act 'as if' in Europe: as if one wanted only very few things, in order to obtain a great deal. As if nations were to remain sovereign, in order to convince them to surrender their sovereignty. The Commission in Brussels, for example, must act as if it were a technical organism, in order to operate like a government ... and so on, camouflaging and toning down. The sovereignty lost at national level does not pass to any new subject. It is entrusted to a faceless entity: NATO, the UN and eventually the EU. The Union is the vanguard of this changing world:it indicates a future of Princes without sovereignty. The new entity is faceless and those who are in command can neither be pinned down nor elected ... That is the way Europe was made too: by creating communitarian organisms without giving the organisms presided over by national governments the impression that they were being subjected to a higher power. That is how the Court of Justice as a supra-national organ was born. It was a sort of unseen atom bomb, which Schuman and Monnet slipped into the negotiations on the Coal and Steel Community. That was what the 'CSC' itself was: a random mixture of national egotisms which became communitarian. I don't think it is a good idea to replace this slow and effective method - which keeps national States free from anxiety while they are being stripped of power - with great institutional leaps - Therefore I prefer to go slowly, to crumble pieces of sovereignty up litle by little, avoiding brusque transitions from national to federal power. That is the way I think we will have to build Europe's common policies..." - Italian Prime Minister Giuliano Amato, later Vice-President of the EU Constitutional Convention, interview with Barbara Spinelli, La Stampa, 13 July 2000. Posted in a great list of quotes compiled by Free Europe.org. UN Local Agenda 21 is the foundation for the international sustainable development movement, a "great institutional leap." The official purpose for sustainable development was defined by the United Nations. Today this is the exact same definition used by all U.S. government agencies. The History of the U.N. Agenda 21: Number of formally committed municipalities from Earthtrends in 2001. Be sure to visit: International Council for Local Environmental Initiatives (ICLEI). "ICLEI's mission is to build and serve a worldwide movement of local governments to achieve tangible improvements in global environmental and sustainable development conditions through cumulative local actions." Communitarianism is the political theory that supports LA-21 redevelopment. We are anti-communitarians, which means we oppose the dialectical ideology that insists the globalists hold the power to rebuild the world into one imperial community under supreme COMMUNITARIAN LAW. Coming here from outside the U.S.? If you are coming here from outside the United States, please know that we are openly opposed to communitarian laws and plans. This site does not support eliminating nations in order to form a one world community government. Many nations, from Cuba to Romania to Ecuador to New Zealand, have established communitarian development integral programs like the Ministerio de Energia y Minas. There are hundreds of international communitarian development volunteer programs (for well-to-do Western whites), and communitarian development schools are rapidly popping up all over the world, like the Waikato Management School- A Model for Communitarian Approach to Accountability for Sustainable Development There are even Communitarian development consultants. It appears the ONLY place in the world where it is not openly identified as "communitarian development" is in the United States where communitarian anything is in direct violation of constitutional law. Communitarian development is often disguised as global giving. The oldest professional "givers" are in the UK and across the "former" British Empire. It's always taught as An Emancipatory Communitarian Approach to Vocational Development Theory, Research, and Practice. For Western defined "third world economies," communitarian development signals the final death blow to poor, indigenous people. The United Nations Organisation pour la promotion et l'�panouissement de la femme nig�rienne "Rayouwan Mata" is a false front for global slavery and minority oppression. It uses inequality and famine to promote Western Zionist Communitarian Development "principles." Many nationals come here after searching for specific country's Local Agenda 21 Plans. If you agree with us, or if there is any organized local resistance in your country against your Plan, we'd like to know. From the number of visitors lately, it appears this powerful and important legal document is finally getting the national attention it deserves. Every country in the world has a Local Agenda 21 blueprint, even though many remain unfinished. We link to several of them here if you cannot find yours online. We appreciate links to opposition sites from anywhere in the world. It's not only our country that will disappear under this plan. Iraq had one before Operation Freedom, and hardly any of their plan was filled in. This really is the plan for a global government. The entire world is at risk. The U.S. system of government is designed to protect and maintain individual rights: "All political power is inherent in the people, and governments derive their just powers from the consent of the governed, and are established to protect and maintain individual rights." (Article One, Section One, Washington State Constitution http://www.courts.wa.gov/education/constitution/index). LA-21 modifies legitimate national laws, programs, and policies that conflict with the plan. Individual rights lose against community rights, five to four -- Homes may be 'taken' for private projects. Justices: Local governments can give OK if it's for public good by The Associated Press, June 23, 2005, at msnbc.msn.com. "WASHINGTON - The Supreme Court on Thursday ruled that local governments may seize people's homes and businesses - even against their will - for private economic development. It's impossible to negate the fact that there IS an organized plan for a global government. Local Agenda 21 is the blueprint for world government, and it's already being implemented across the globe. Just because most Americans have never heard of it doesn't mean it isn't real. It really doesn't get any more real than this. All new communitarian laws that eliminate rights guaranteed by national constitutions are inside this international blueprint for rebuilding subserviant local political structures. Many of these spontaneous, grass-roots "visions" for rebuilding community plans are identical. And, none of them happened by "accident." After the ACL found Agenda 21 in 2000, we asked everyone in Seattle government if the Roosevelt Neighborhood Plan was a UN Local Agenda 21 Plan. They all assured us they had no idea what we were talking about. Former Bellevue Councilmember Nancy Rising, (who was an enormous assistance in our quest for answers) took the ACL to visit several Seattle Councilmembers, including Seattle City Councilmember Margaret Pageler. Today Pageler's website openly states: "The City of Seattle works for sustainable development at the local and regional level, in a program that parallels Local Agenda 21. The City Council endorsed the Earth Charter in a 2002 resolution." The Communitarians came to the United States to "shore up the moral, social and political environment." Earth Charter USA, OUR NEW MORAL AND LEGAL CODE. Local Agenda 21 in the United States: Municipal Sustainability Efforts: Status Report. A Sustainable Community within a seven mile radius of the City of Pacific, MO at pacificring.net. PDF file: US Mission to United Nations Press Release on November 26, 2002 posted by World Wide Volunteer Web. THE U.S. COMMITMENT TO AGENDA 21: CHAPTER 11 COMBATING DEFORESTATION - THE ECOSYSTEM MANAGEMENT APPROACH, by SUSAN BUCKNUM, Cited: 8 Duke Envtl. L. & Pol'y F. 305, Duke Law Journals. Not only has the U.S. government totally reinvented itself (and eliminated required checks and balances between branches of government under another communitarian creation called Homeland Security), but almost every state in the U.S. has implemented LA-21 set-up organizations. Most are doing it very quietly, but a few are bragging about doing it. An Earth Charter and Agenda 21 for Iowa posted by University of Iowa is not a "conspiracy theory." Anger Meets New Orleans Renewal Plan By GARY RIVLIN, New York Times, January 12, 2006. Big Dreams for the Big Easy- What New Orleans could look like the second time around By Timothy Lange, 15 Sep 2005. "Without further ado, let the Business Action begin!" "Paris, 3 May 2005 -- These were the words of the United Nations Commission on Sustainable Development 13 (UNCSD 13) Chair, John Ashe, when he opened the Business Action event, at the high-level segment of the annual conference in New York last week. Set in motion to demonstrate the business community's commitment to help resolve the global challenges on water and energy, Dr Ashe commended the initiative. "If you are not part of the solution, you are part of the problem," he said. "These initiatives show that business is part of the solution." 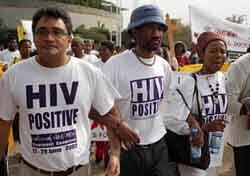 He also encouraged business to increase its involvement in partnerships." See also: Furman Center for Real Estate and Urban Policy, NYU holds a Seminar on "Community Development Law," including "Property Theory: This seminar, taught by Professor Wyman, examines contemporary debates about property using a range of legal, historical, and philosophical materials. The seminar begins by considering four theoretical approaches to property law: the classic utilitarian justification for private property; the Lockean case for property; contemporary rights-based theories of property; and communitarian perspectives. The seminar applies these approaches to live controversies in areas such as environmental and intellectual property law. Drawing on the four theoretical perspectives, the seminar then addresses a range of topics, including property and economic development, the tragedy of the commons, the limits of property rights and markets, social norms, takings, and reparations." 2020 is a key word in identifying LA-21 plans and community mapping/security programs i.e. 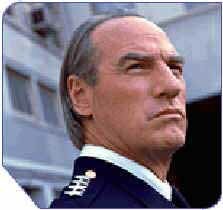 NIC 2020. Planning and Community Development Links posted by Municipal Research and Services Center of Washington. "The World Future Society is open to anyone who would like to know what the future will hold." For how Agenda 21 ties into the ACL's research, go to Neighborhood Plans. 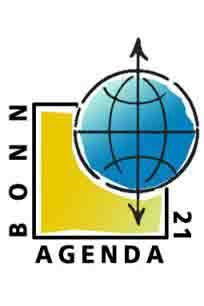 For how Agenda 21 ties to communitarianism, go to German discussion of Local Agenda 21, Civil Society and Transnational Networks. For how Agenda 21 uses non-governmental oragnizations, read Jackie Patru's The Role of Nongovernmental Organizations on Sweetliberty.org. There's nothing local about Local Agenda 21. Local Agenda 21 is the programme for a supra-national government. The real agenda: Communitarians quietly (and illegally) balance U.S. laws in favor of the global sustainable developers. Our "new" law endorses free trade economics, promotes a quasi-religious blending with ideologies, and is based in ancient mysticism. The "moral" communitarians think they're above U.S. law. They ignore the fact that all changes to the U.S. Constitution must be pre-approved by 3/4 of the fifty united state's legislatures. Based on the available evidence, the ACL finds the entire Communitarian policy agenda is treason against the people of the United States. Our goal is to expose the Communitarian philosophy used by Libertarians, Republicans, Democrats, Greens, and bi-partisan Third Wayers. We want every voter in the world to recognize communitarian laws, buffer zones, players, policies, and "logic." What is Communitarianism? Communitarianism is the over-all system used by the ruling elite to govern the globe in their emerging Supra-national World Order. Katrina related LA-21 plans: Mobile, Alabama, answers the United Nations call! By Don Casey posted at eco.freedom.org. Death, Taxes and Agenda 21 By Don Casey, July 2, 2005 at Alabama Constitutional Party.org. Hegemony Lost, The American Economy is Destroying Itself By PAUL CRAIG ROBERTS posted August 25, 2005 at counterpunch.org. Sample LA-21 Programmes operational in the United States:Community Policing, Landlord Training, Rebuilding Community, Mandatory Volunteerism, Regulatory Inspections, Asset Based Community Development, Rural Development, Urban Re-Development, Re Wilding America, Faith-Based Initiatives, Character Education, government child care, The Real National ID, and life long surveilliance. 1997 United Nations List of Protected Areas in the United States. We got this link thanks to Jackie Patru. Most Americans share a valid concern for the state of the environment - by Gaylan King. Bill W. sent this link today (5/27/04), says it was circulated around Worland, Wyoming by BLM, 8 years ago! U.N. Plan for Internet Control Tiptoes Forward by Cheryl K. Chumley April 9, 2004 posted by Capitalism Magazine. Escape from 'Ecotopia' By Pat Joseph, Grist Magazine. Posted May 14, 2005. Click the picture below and go to garykah.org. He can introduce you to the major global players. U.N. Charter or U.S. Constitution? By Bud Landry, Apr 2, 2004, posted at Magic City Morning Star which has a nice list of Agenda 21 articles by Americans. 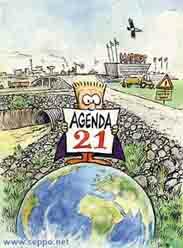 Agenda 21 Or Freedom 21: Making The Right Choice By Tom DeWeese (04/27/05)in the American Daily. Regional Governance by Jackie Patru. This is a concise collection of citations of U.S. government discussing the need for creating U.N. regional governments. It's been a stated necessity that the government must gain control all private property (particularly farm lands) for the good of the public, dating back to 1934. The Population Control Agenda By Stanley K. Monteith, M.D. Joan Veon has attended U.N. conferences for many years, she's interviewed several of the major U.N. players, and she presents links to all the major conferences combined with the most detailed coverage and analysis of Agenda 21 on the net, all posted at WomensGroup.org. Amerikan Expose with Chris Gerner has some great observations of Local Agenda 21 and like all American Agenda 21 researchers, he links to many direct sources. Our Global Neighborhood by Henry Lamb at eco-logic in 1996 is a thorough examination of the Commission on Global Governance. Highly recommended for the serious student of national sovereignty and individual freedom. Berit Kjos does a wonderful job of examining what Local Agenda 21 will do to America. Freedom domain.com doesn't pull any punches and has links to books and videos. UNslaver News Daily " Our Mission: To Unveil Invisible Puzzles, & Decry Invisible Slavery. To Provide Resources & Methods to Identify Puzzles and Dethrone the Invisible Slavery System." SUSTAINABLE MEDICINE + SUSTAINABLE DEVELOPMENT = DUTY TO DIE PART 1 OF 3- UN AGENDA 21 AND SUSTAINABLE DEVELOPMENT by Dr. Madeleine Cosman, Ph.D., JD, July 5, 2005, NewsWithViews.com. Henry Lamb's research and essays on our loss of constitutional government at Freedom 21 Santa Cruz represent the more (or less) accepted "alternative" American opinions about our rebuilt America. The Environmental Agenda by Gary Kah includes a nice background introduction to Mikhail Gorbachev. Americans Berit Kjos, Virginia Bert Baker, Charlotte Iserbyt and Mary Thompson wrote this article in November 2003, The Draft is Back: Universal National Service Act of 2003. Faulty Shades Of Green 2002-07-22, Source: Raj Patel. Posted at Creative Resistance, BC. 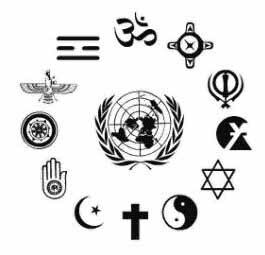 According to MSNBC, the far-right sees the United Nations as a precursor to world government, and the far-left sees it as a tool of the Imperial United States. So we see, even mainstream news sites like MSNBC speak to us only from the dialectic. There are more than two American views to the U.N., but as usual, we're expected to identify our opposition to the U.N. with either the far-right or the far-left. If we just cannot join one of the established opposition camps, we are labeled into the communitarian-Third Way camp, which is the Hegelian synthesis to the conflicts between the right and the left. As freeborn people, we still believe in the spectrum of infinite possibilities, and so the ACL considers the facts about U.N. Local Agenda 21 from outside the dialectic. Our opposition to submitting to a communitarian global legal system fits into none of their predetermined viewpoints. Iraq's Local Agenda 21 Plan. Was this UN plan for rebuilding Iraq written before or after the latest joint US-British-Israeli Operation Freedom invasion? Syria's Local Agenda 21 Plan. Was the Israeli need to "cut out Syria" and rebuild the old (1948) British-mandated pipeline that gave Iraqi oil to Israel included in Syria's "Local" Agenda 21 Plan? Does it matter that the proposed Haifa pipeline was already built in the 1980's? or that " .. an agreement has been quietly renewed every five years, with special legislation which permitted the United States to stock a strategic oil reserve for Israel, at a cost to the United States of $3 billion in 2002, even if this entailed domestic U.S. shortages." United Nation's Development Programme: The Arab States. "Our work in Djibouti, Egypt, Jordan, Lebanon, Morocco, Palestine, Sudan, and Syria integrates social, economic, and environmental concerns into local and national development." L O C A L I Z I N G Agenda 21 in Palestine. Does Chapter 19 of AIRJ's plan for Localizing Palestine include plans for the Palestinian "wall?" (Note: this link to pictures of the wall is on an openly critical anti-Zionist/anti-Bush website that supports leftist anti-war efforts, but it has the only good pictures of the wall I could find. Does this "fence" really exist?) 6/5/04- here's the contractor information: McGraw-hill. Saudi Arabia's incomplete Local Agenda 21 Plan... doesn't the format look familiar? U.N.'s tentative agenda for the September 2003 Habitat Meeting includes plans for Eqypt and Libya. Do the people in these countries know about this plan? Or is it like it is in the US, where only politicians, academics and "development partners" know about the Plans, and the majority of the population isn't told ANYTHING? Mediterranean Environmental Forum includes all Mediterranean nations in Local Agenda 21 plans, including Libya. PRC Sustainable Development Solutions: Markets, Rights and Democracy ---"Grave Concerns" Conclusion - Part Six A May 1999 report from U.S. Embassy Beijing. China's Agenda 21 includes a Capacity 21 contribution to communist China's Plan, in US dollars. Even Taiwan has a Local Agenda 21 Plan, and they're not a member of the U.N.! Does this mean China will give up wanting Taiwan and point their nukes somewhere else? 5. 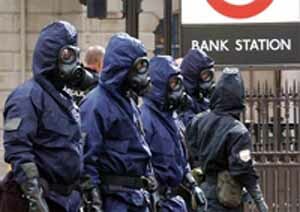 Imperial Great Britains' influence on Agenda 21: in their "endless adventure of governing men". 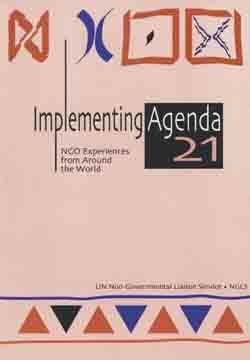 Nottingham University Library presents a lovely collection of Agenda 21 programs. House of Commons Office of Foreign Affairs discusses the European Union. Here's more on Europe's New Shape. 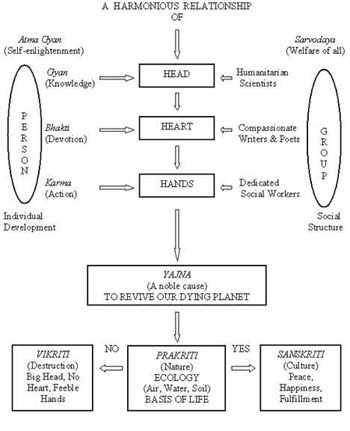 Functions of Sustainable Community Systems for Transformation, by Kenneth Hunter, 1999: "This chapter offers a perspective on ten functions of community-level systems, how to identify those which are crucial to community evolution and empowerment, the public policies which will facilitate them, and the actions required to support communities." Project Harmony: "The Community Policing Training Initiative supports democratic change by facilitating sustainable partnerships that empower law enforcement professionals, educators, city administrators, media specialists, and social service providers in Russia, Ukraine and the U.S. to build healthy and safe communities through collaboration, transparency and public accountability." Lockerbie, Scotland's UPPER ANNANDALE AND ESKDALE AREA COMMITTEE AGENDA, Meeting of Monday 8 July 2002, at 7.00 p.m. in the Town Hall, Lockerbie. #2 on the agenda is: COMMUNITY POLICING - Presentation by representative of Dumfries and Galloway Constabulary [pages 7 and 8]. ARC-GIS as an Instrument of City Management. Global Vision: Sustainable City (formerly Zero Population Growth) Sustainable City is an international collaborative research endeavour to develop the world's first GIS (Geographical Information Systems) computer simulation programme for any town or city to see itself - and its surrounding environment - as a whole system. The project is now in development by Global Vision Corporation, a Non Governmental Organisation accredited to the United Nations Commission on Sustainable Development (CSD). It is part of the international follow-up to Habitat II - the Second United Nations Conference on Human Settlements (June 1996), where it was nominated as a Corporate Best Practice at the World Business Forum on Enterprise, the City, and Sustainable Development. 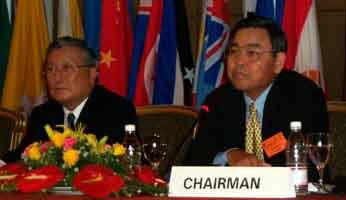 15 United Nation's Regional Cartographic Conference for Asia and the Pacific "A milestone for sustainable development". Asset Based Community Development (ABCD). ABCD developed an 11 page "interview" that logs all our skills and abilities into a community mapping database. Asset Based Strategies for Faith Based Communities ties community development to Bush's "Faith-Based Initiative". Community Mapping Network, "The primary goal of the Community Mapping Network (CMN) is to provide a service that collects and integrates natural resource information, maps and mapping information to promote sustainable resource management and to assist planning sustainable communities in British Columbia, Canada." HELP: Human Early Learning Partnership. This is how Agenda 21 designs community development data gathering programs that will control our children's futures. HUD's Information Collection Activities, (HUD's Community 2020 data software was updated to Maptitude). "All over the planet, cities are carrying out the "utopias" of Sustainable Development. Inspired by the World Environment Day slogan "Green cities, plan for the planet", Geneva is inviting innovating cities across the world to come and present their best practices." Conference:"Innovating cities across the world". "From the 11 to 13 October 2005, the S-DEV Geneva 05 Conference will showcase innovative and participatory solutions proposed by 25 cities from all continents. Their innovations are ingenious, simple, efficient and cost-effective. The key to success is coordination and synergy between the following four poles : sustainable technologies, active citizenship, new governance and corporate responsibility. An annual rendez-vous of Sustainable Development, S-DEV Geneva 05 focuses on the exchange of concrete solutions articulated around a Conference, Workshops and an Exhibition, bringing together local authorities, public services, enterprises, NGOs, researchers and International Organisations. Global Green USA. "We need a new system of values, a system which recognises the organic unity between humankind and nature and promotes the ethic of global responsibility," by Mikhail S. Gorbachev, former president of the USSR, former Communist turned communitarian, recent socio-economics partner with Amitai Etzioni. Gorbaachev thinks he's a more moral global leader of formerly free nations like the USA. Nepotism and elite bloodlines prevail in the New Global Architecture. Global Green USA is directed by Diane Meyer Simon, who was a legislative aide to Senator Birch Bayh in the 1970s. Senator Birch Bayh's son, Evan Bayh, is a current Senator from Indiana and the leader of the Democratic Leadership Council (DLC). The DLC is the communitarian 3rd Way political organization that endorses a quietly implemented and completely "new" system for all Americans, regardless of what Americans think. Most Americans have no idea what the DLC or Green Cross represent, and since these organizations always speak about their goals in the loftiest of phrases, only a few astute listeners actually hear their communitarian propaganda. Most Americans DO NOT KNOW what a communitarian stands for. The ACL has a page devoted to the current Senator Bayh, called Bayhwatch. The ACL also has a page devoted to The Third Way. Havanna 2005 UN Habitat United Nations Human Settlements Programme The Sustainable Cities Programme and the Localizing Agenda 21 Programme-6th Global Meeting of Partners. "The 2005 Global Meeting of the Sustainable Cities Programme (SCP) and Localizing Agenda 21 Programme (LA21) partners will take place from 26 June to 1st July in Cuba, hosted by the City of La Havana. The meeting offers the partners of the UN-HABITAT Urban Environment Section the opportunity to advance their collective know-how, exchange experiences, review activities, and discuss how to mainstream Environmental Planning and Management (EPM) into local, national and global policies. The meeting will bring together: mayors, high-ranking city officials, urban practitioners, representatives of central/federal governments, urban institutions, heads of international support programmes and key representatives of donor agencies. The meeting is organized jointly by UN-HABITAT, UNEP, the Government of Cuba and the City of La Havana." Note to U.S. Americans from the U.S. Department of State December 06, 2004. "COUNTRY DESCRIPTION : Cuba is a totalitarian police state, which relies on repressive methods to maintain control. These methods, including intense physical and electronic surveillance of Cubans, are also extended to foreign travelers. Americans visiting Cuba should be aware that any encounter with a Cuban could be subject to surreptitious scrutiny by the Castro regime's secret police, the General Directorate for State Security (DGSE). Also, any interactions with average Cubans, regardless how well intentioned the American is, can subject that Cuban to harassment and/or detention, amongst other forms of repressive actions, by state security elements. The regime is strongly anti-American yet desperate for U.S. dollars to prop itself up." Philippine Agenda 21 is the nation's blueprint for sustainable development. 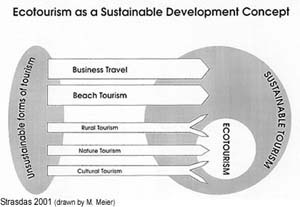 In concreting the vision, it describes a path for individuals, families, households and communities; an action plan for each ecosystem (coastal/marine, freshwater, upland, lowland, and urban); and across ecosystems in consideration of the interaction of the various lifescapes and landscapes found therein. The path is grounded on respect and active advocacy for the empowerment of the various social groupings of society to manage the economy, critical resources, society and culture, politics and governance and in the arena of foreign relations. Philippine Agenda 21 advocates a fundamental shift in development thinking and approach. It departs from traditional conceptual frameworks that emphasize sector-based and macro concerns. Philippine Agenda 21 promotes harmony and achieves sustainability by emphasizing. * A scale of intervention that is primarily area-based. The national and global policy environment builds upon and supports area-based initiatives. * Integrated island development approaches where applicable. This recognizes the archipelagic character of the Philippines which includes many small island provinces. * People and integrity of nature at the center of development initiatives. This implies the strengthening of roles, relationships, and interactions between and among stakeholders in government, civil society, labor and business. Basic sectors have an important role to play in achieving equity and managing the ecosystems that sustain life. PA 21 envisions a better quality of life for all Filipinos through the development of a just, moral and creative, spiritual, economically vibrant, caring, diverse yet cohesive society characterized by appropriate productivity, participatory and democratic processes, and living in harmony and within the limits of the carrying capacity of nature and the integrity of creation. PA 21 was adopted on 26 September 1996, with the issuance of Memorandum Order No. 399 by then President Fidel V. Ramos which identified the roles of the Philippine Council for Sustainable Development (PCSD) and each sector in the operationalization of PA 21. The action agenda is based on the imperatives of the current national situation and emerging landscape for sustainable development. PA 21 is a dynamic document that will continue to evolve as new challenges and opportunities emerge, as the level of consensus continue to deepen in the Philippine society, as the Filipinos attempt to solidify the framework, as the government continue to refine the processes, and as the Filipinos strive to widen and enrich their understanding of each other to pave the way for new modes of collaboration. Here's the . "The Center for Alternative Development Initiatives (CADI) is a Philippine-based civil society organization (CSO) dedicated to the study, encouragement and implementation of sustainable development through threefolding, partnerships. CADI was established in February 1988 to spread the reality of holistic sciences and philosophies of human beings, society and nature." 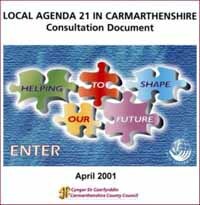 Agenda 21 for Culture: "The Agenda 21 for Culture promotes the adoption of a series of principles, commitments and recommendations to strengthen the development of culture on an international scale from the local arena, considering it as a collective right to participation in the life of societies." U.N. Projects Historic City Populations by 2007 by Grant McCool, Reuters, March 24, 2004. Posted at Amerikanexpose.com. Thanks Chris and Darren! Republic of Korea's Local Agenda 21 Plan. Here's Rome, Italy's Local Agenda 21. One of their "activites": Data bank on the best practices in reconverting processes, micro and macro economical data, national and communitarian laws, etc. An Agenda 21 for the Baltic Sea Region. Canada's Local Agenda 21 , "Indigenous peoples represent a significant part of the world's population with unique contributions to make to the achievement of the goals of Agenda 21, based on ways of life directly dependent on the utilization of wild living resources. Indigenous peoples have evolved a holistic, traditional scientific knowledge of the land, natural resources and environment they interact with and depend on to maintain their well-being." U.N. Local Agenda 21 is not a local or grassroots movement of an evolving, holistic, more moral humanity, no matter what evolved British-Israeli or Fabian scholars tell us. Local Agenda 21 is a top-down global-government program created by the U.S. in collaboration with communist and imperialist governments. Agenda 21 will over-rule national and state constitutions. Ecotourism Links selected by Claudia Fox. "Explore these links for a deeper understanding of Ecotourism." Local Dialog 21: Project name: Environment and tourism in the Arctic . Environmental Restoration Adventures, Palo Alto, CA. Civil Society aims described by the World Federalist Association of Northern California: This worldwide organization has a 2020 Global Peace Initiative whose aim is to create a culture of Peace by the year 2020. "This Initiative reflects a global vision of unity: one heart, one mind, working toward one goal. We are many races which form One race: the human race. Each and every one of us has a different place we call home: but ultimately this planet is our Home. While the name 2020 is symbolic, thereby working with and reinforcing positive mass conscious thought forms, it has also been chosen as a practical time-frame for humanity to work towards creating a culture of Peace. Princeton University's 'Great Experiment' which relates to measurement of emotion and directed thought appears to support what metaphysicians have claimed for years: our thoughts impact our reality. The 2020 Initiative calls on UN member-states and non member-states to support the 2020 Initiative through action, specifically: 2. Formulating a global constitution supporting this Initiative, 3. Opening the borders-i.e. allowing free movement and residence of all Beings." Legislative History of National and Community Service. CONTACT, Training a New Generation of Peacemakers. Taskforce for Change- this organization appeals entirely to emotive reasoning and like all the rest of these Hegelian change NGO's, their bottom line is to "Endorse a global plan that supports country programs including the transportation, law enforcement, urban planning, and public health sectors." Human Health, a Local Agenda 21 sub-topic. From our British friends, we learn The Key Quality of Life Issue. Health and the Context of Agenda 21 in Sustainable Development: Meeting the Challenges of the 21st Century World Health Organization, Geneva, Switzerland. Holistic Development The Auroville Earth Institute, UNESCO Chair Earth Architecture. International University for Human Transformation "As a part of personality development, counselling sessions are conducted regularly for the students who are selected through a system based on proactive approach of identification of potential counselling needs. Graphological Analysis, Personality Analysis and Standard Psychometric Tests are used as tools by the counsellors to get the holistic perspective about the potential users." ISPO: From Globalization to Sustainability-A New Global Policy for Social Justice. The Imperial British plans to "restore" global democracy takes many forms, and this organization is going to convince us all to elect politicians who will simultaneously implement their sustainable agenda. Like most of the British programs for "world peace and social justice", ISOP has the support of many well educated academics, including Noam Chomsky. The Alan Savory Center for Holistic Management. "Holistic Management enables you to improve the quality of your life while enhancing the environment that sustains us all. And it's all based on a simple change in the way you make decisions. Holistic Management gives you a practical way to develop a clear, focused vision for your future, and enables you to plan how to get there in the most economically, environmentally and socially sound way." In what dictionary did they find this lovely terminology? Holistic Solutions, financial planning for a sustainable world. Goebel and Associates, Conflict Resolution and Consensus Building. "A leading American feminist and human rights activist, Bella Abzug (1920-1988) [pictured right] served in Congress from 1970 to 1976. In the years that followed, she headed the National Advisory Committee on Women, founded Women, USA, and co-founded the Women's Environment and Development Organization." Betty Friedan endorsed the Communitarian Platform. Women's Rights in A Global Context by Margaret A. McLaren, Rollins College 2005 Conference Papers. "Communitarian feminist critiques echo some of these concerns, but focus more on the issues of identity and community and their significance in our lives." Women's Environmental and Devolpment Organization (WEDO). 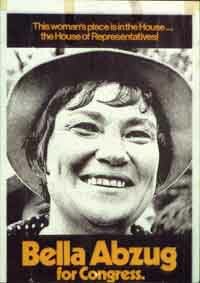 UN instraw.org (pdf): Women, the Environment and Sustainable Development, Towards a Theoretical Synthesis, with a preface by Bella Abzug. Have an opinion about our work? We'd like to hear it. Drop us a note. Update December 22, 2005 -- ACL research has been viewed by thousands of visitors from all over the world. Not one person has ever provided contrary evidence that this global blueprint for local sustainable "community development" does not really exist. 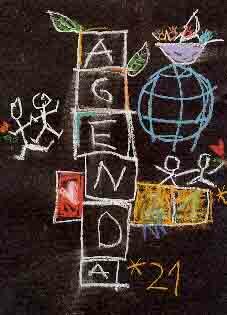 Searches for the term "Agenda 21" have increased tenfold in the past year. 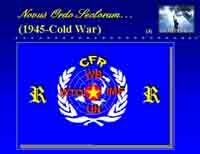 Our research is a topic at many forums, and the above passage has been pasted on numerous American discussion boards. "Has anybody heard of Agenda 21?" is the most common opening comment. In some groups no one ever responds to the question. When there's a "skeptic" they all use the same basic idiotic response. Name-calling is frequently used to shut down any further civilized discussion. Ad hominem slander like "This is a hamhanded conglomeration of Black Helicopter lore, Bircherite phantasmagoria, and political illiteracy. With maybe a little Illuminati and Elders of Zion thrown in," is a typical communitarian response to a valid inquiry. "I'm a novice in international politics," or "No, I have never heard of it," would be too illuminating for non-adepts. For good examples of communitarian environmental law, see: European Environmental Law-Communitarian legislation (directive 94/62/EC, and related commission decisions) and pdf-Harmonization and harmonizing measures in criminal law (which explains: "The European Commission points out that there is a considerable body of communitarian environmental law, and that Member States are obliged to provide for effective, dissuasive and proportionate sanctions.") Please send your local-to-national resistance links, valid commentary, or referenced rebuttals to nikiraapana@gmail.com. Heschel Center Fellows List explains the ties between Agenda 21, feminism, newspapers, rewilding projects, consensus faciliators, environmentalists, Israel and London. French Voters Reject First EU ConstitutionBy John Leicester, AP, May 29, 2005 in the Washington Post. TRUTH OVERLOOKED:THE LEGACY OF LIST by Gwydion M. Williams. March 24, 2005 -- Visable Signs of the New World Order by Nancy Levant for the Sierra Times. From Nancy we find: Draw the line in Alabaster by Neal Boortz, a radio host in Alabama. http://www.geog.leeds.ac.uk/courses/level3/geog3360/3360-06.doc is a downloadable MS Word document from the School of Geography, University of Leeds. This 37 page paper includes specific details about the Agenda 21 process we were previously unaware existed. pdf-The Precautionary Principle explains on page 9 the history of the Precationary Principle, the U.S. adoption of Agenda 21, and how it was was used in Seattle. EPA Green Communities: How Do We Get There? - Case Studies explains the role of Sustainable Seattle in implementing Seattle's Local Agenda 21 plan. Rethinking Environmental Impact Statements by Tom Angotti, July, 2004, Gotham Gazette. "Overhaul of the environmental review system is long overdue. Even more importantly, city government needs to develop a broad environmental planning framework that looks at long-term multi-generational indicators of environmental quality -- such as Seattle's Agenda 21." Seattle Neighborhood Planning, Citizen Empowerment or Collective Daydreaming? By Karen Ceraso, posted by Shelterforce Online, Dec-Jan 1999. Seattle's Neighborhood Empowerment Fund Involves Thousands of Citizens in Community Improvement Matching Citizens' Initiative with Funds "Most Successful City Strategy" May 29, 2000, Posted by U.S. Mayor's. Neighborhood Planning in Seattle: Not the Garden Variety Grass Roots Project by Karma Ruder and Susan Dehlendorf, 1997. 100,000 demonstrate in Berlin against Schr�der's Agenda 2010 at the World Socialist Website, 4 November 2003. 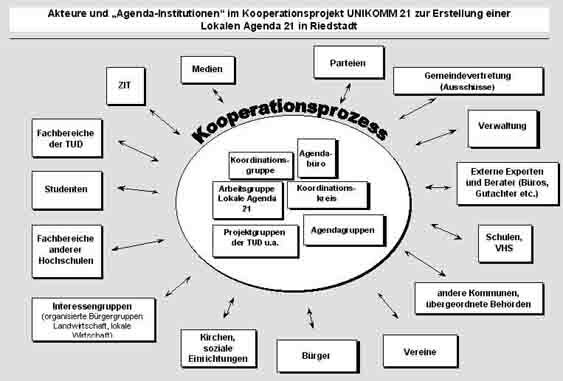 Here's another organizational chart of A-21 education in German.